Awhile ago, I shared a post about the Palm Beach City, Dubai - built over the sea. Those who have visited Dubai and have seen the Palm Beach city would realize the limits of human imagination which can even build cities over the sea or take roads under it. While writing t post, I promised to talk of the cities literally floating in the sea, just like ships and boats do. The idea may look weird and non-doable, but may be someday it becomes a reality - the same way the 12 second flight of the Wright Brother's flying machine has since been realized into the gigantic aircraft of today. Building huge cities straight away may not be possible, but doing it bit by bit and then joining different segments into one huge segment may not be a far fetched idea. 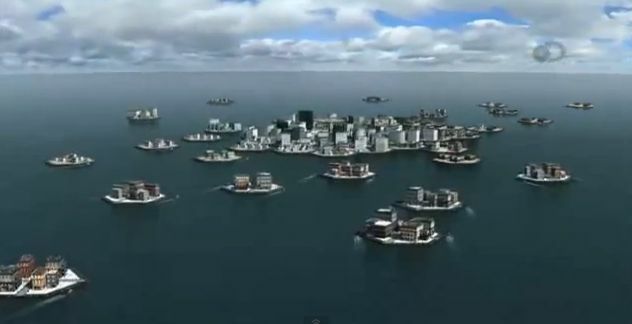 And one day may be we find floating cities in the seas - though they the only problem would be of their susceptibility to tsunamis and sea storm. 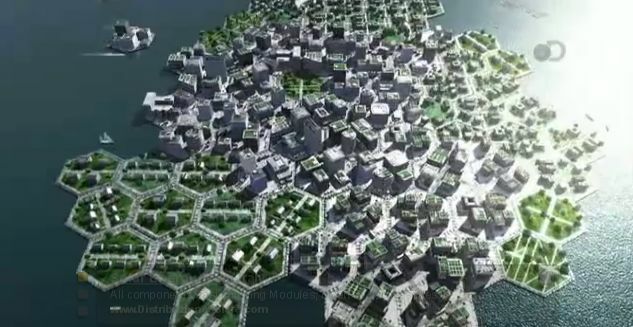 The dye for the future floating cities has been cast - it is the time frame which remains to be decided, besides colossal funding for the floating cities of the future.